The Fish Paco is a High Performance Twin for fast vertical surfing in small waves. Part of its special ingredients is a combination of the pulled in swallow tail with a touch more rocker than what you'd see in your average small wave board. Adding that allows the board to do tight arcing turns in small waves. Pouring on the hot sauce, twin fin placement in the front boxes makes for a very fast and drivey board that pivots easily in the pocket. Full of flavor as a twin, we added rear boxes for greater range and control to make your favorite Fish Paco combo. Low nose rocker, moderate rocker in the rear starting near center progressing through the tail. Medium rails with hard tucked edges. 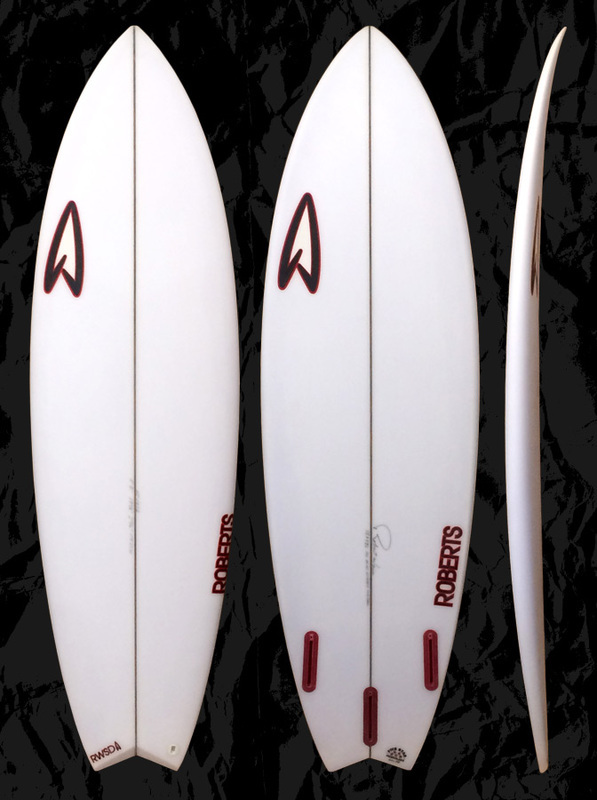 We love the fast pivoty feel you get using a favorite twin fin set in small to average surf. We build it with a 5 fin setup so not only can you ride it as a twin fin you also have the option to add a trailer, use large thruster fronts + a smaller center, or use large thruster fronts + quad rears, all for tuning in control or riding in larger surf. Waist to Overhead beach, reef or point breaks. Shorter than your height for everyday surfing matching your volume at about 2L more than your good wave board. Over your height for a cruisier feel with even easier wave catching and more glide. Comparing to pro model shortboards, ride it 6-7 inches shorter, 1” wider and slightly thicker (about 2L extra volume). Custom dims are always available to match your needs or preferences. Please feel free to use our CONTACT US form for more info about our boards and sizing.